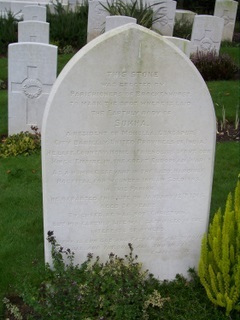 WW1 memorial to India - an Indian soldier is remembered at Brockenhurst. My WW1 memorial India is the poignant story of an Indian soldier. His personal history and the effect he and his fellow servicemen had on this village during WW1 can be seen in St Nicholas' Church at Brockenhurst. It really does put the world wide sacrifice of life into perspective during WW1. Update February 2016. There's a wonderful "New Forest Remembers WWI exhibition at the New Forest Centre, Lyndhurst, from Saturday 6 February to 1 May" and an online archive where you can find out much more about the Indian troops and hospital. "The exhibition panels will then tour other New Forest venues during 2016." When we were recently trying to find St Nicholas' Church at Brockenhurst, we especially wanted to find the graves of all the foreign soldiers who lost their lives in World War One and World War Two. 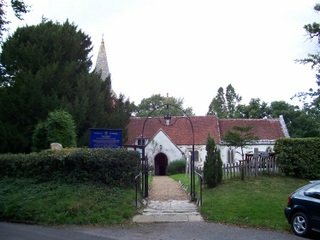 The graveyard is kept in good order and the little church is a real little New Forest gem. Amongst the New Zealand headstones was this one. We were really not expecting to see anything so personal and caring as this WW1 memorial India really paid a high price by helping the WW1 allies in their fight for freedom. He must have been highly thought of in Brockenhurst for the parishioners to erect such a wonderful memorial to a fallen WW1 Indian soldier named Sukha. I also found out that there were 2 hospital ships at Southampton during WW1, for injured soldiers. Meerut General Hospital at Balmer Lawn and Lady Hardinge Hospital at Brockenhurst which had 500 beds for Indian soldiers. If you want to search New Forest Life.com without using the navigation bars on the left, then here's a really useful Google tool. Just put your search details e.g. New Forest WW1 memorial India in the search box and hit Search and you can choose to search my site or go onto the Web and come back to NewForest-Life.com.